Word Fireworks: Learn Chinese, Japanese, Korean or Hebrew! Word Fireworks: learn to read and write a new language…with fireworks! When it comes to Chinese, Japanese, Korean, or Hebrew, learning a new alphabet can be quite a challenge. 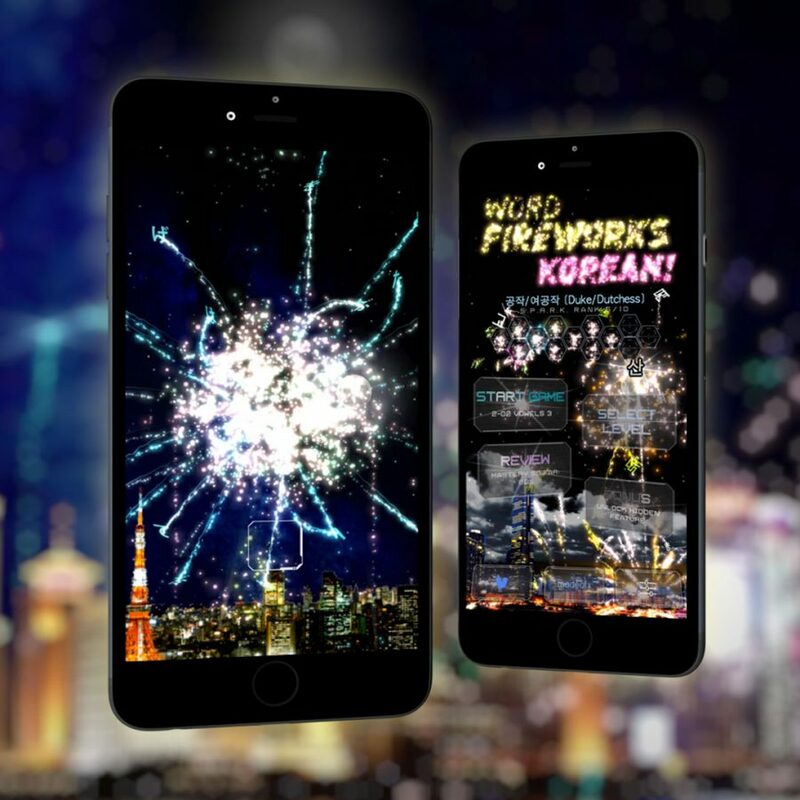 Word Fireworks makes it fun and easy by initiating you into these languages with quick, insightful lessons and gorgeous fireworks. Speed through sprint levels, survive listening stages, and conquer confusion-clearing challenges to launch your very own fireworks show! Unlock more than a hundred different kinds of fireworks, from the chrysanthemum to the donut-kebab. Or use your creative flair to make your very own custom firework design!